A110-1 BIRDS ON AND IN VICINITY OF ARPT. A110-12 (A49A-16R) ALSF2 OPERS AS SSALR TILL WEATHER GOES BELOW VFR. 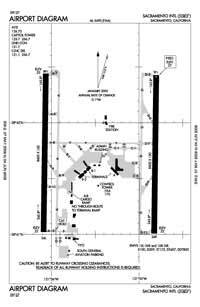 A110-17 TWY RMK #2: THE MAXIMUM ALLOWABLE GROSS AIRCRAFT LOAD FOR TWYS G1, G2, AND THE GENERAL AVIATION PARKING APRON IS: 70,000 LBS FOR SINGLE GEAR AIRCRAFT; 170,000 LBS FOR DUAL GEAR AIRCRAFT; AND 250,000 LBS FOR DUAL TANDEM GEAR AIRCRAFT. A110-18 TWY RMK #2 CONT'D: AN AIRCRAFT CANNOT EXCEED THE AIRPLANE DESIGN GROUP III CRITERIA AND MUST HAVE A WHEEL BASE OF LESS THAN 60 FT.
A110-19 MILITARY AIRCRAFT PARKING LIMITED. 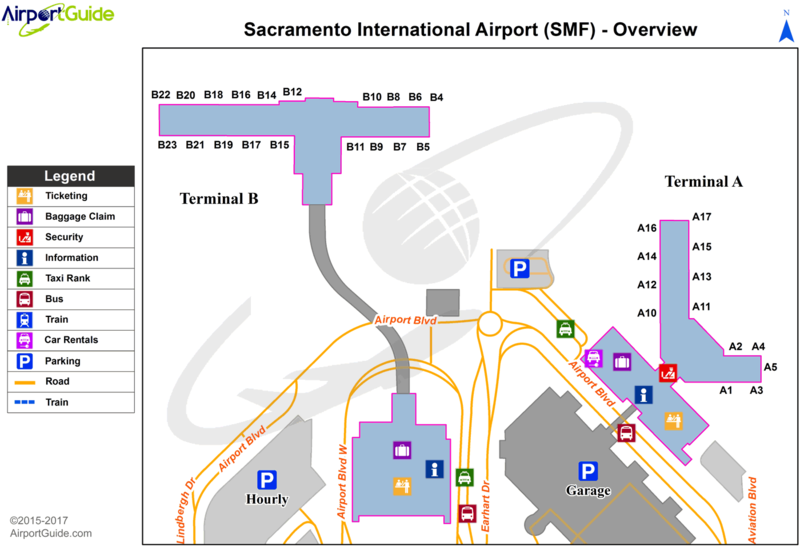 CONTACT ARPT OPNS IF PARKING IS REQUIRED (916) 806-5309. A110-2 FAA GWT STRENGTH EVALUATION MD-11 = 590,000 LBS. A110-21 PORTION OF TWY W 500 FT EAST OF TWY A TO 2100 FT EAST OF TWY A IS NOT VISIBLE FROM ATCT. A110-22 TWY Y4 RESTRICTED TO AIRCRAFT WITH A WINGSPAN OF LESS THAN 118 FT (GROUP III). A110-3 NOISE SENSITIVE AREAS W OF ARPT ON SAC RIVER. LCL TURN DISCOURAGED FOR JET ACFT. WHEN CONDUCTING IFR APCH IN VFR CONDITIONS EXECUTE MISSED APCH AT DEP END OF RYS. PLAN VFR PATTERNS TO E. USE MIN POWER SETTINGS. A110-4 ALL ACFT CTC ATC GND CTL PRIOR TO MOVEMENT ON RAMP. A110-9 CROP DUSTERS OPER INVOF ARPT AT OR BELOW 200 FT AGL. Dual Wheel Landing Gear: 209. Dual Dual Tandem Wheel Landing Gear: 850.